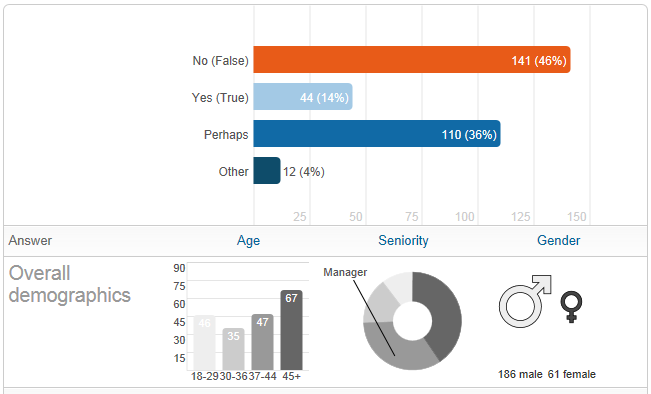 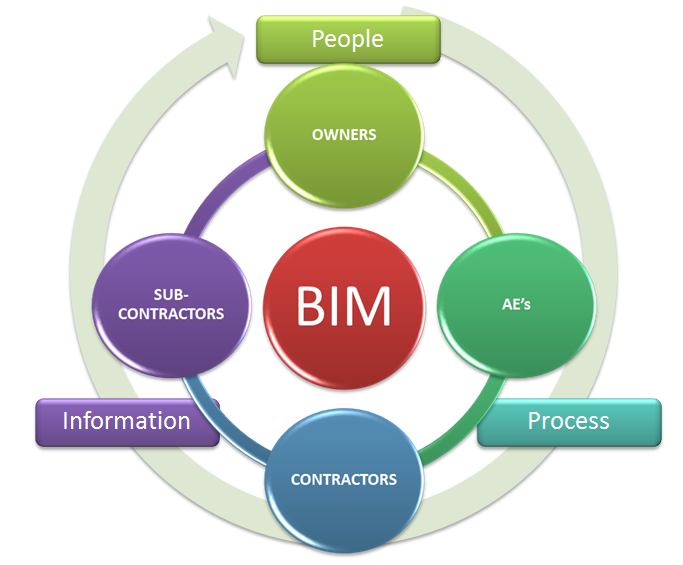 What is BIM – Strategy, Process, or Technology ? 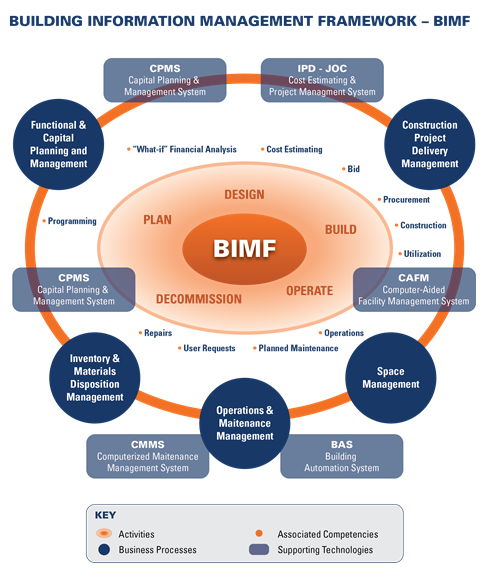 BIM is an integration of process and technology to enable the efficient life-cycle management of facilities (the latter including vertical and horizontal physical infrastructure… buildings, roadways, utilities, landscapes, etc.). 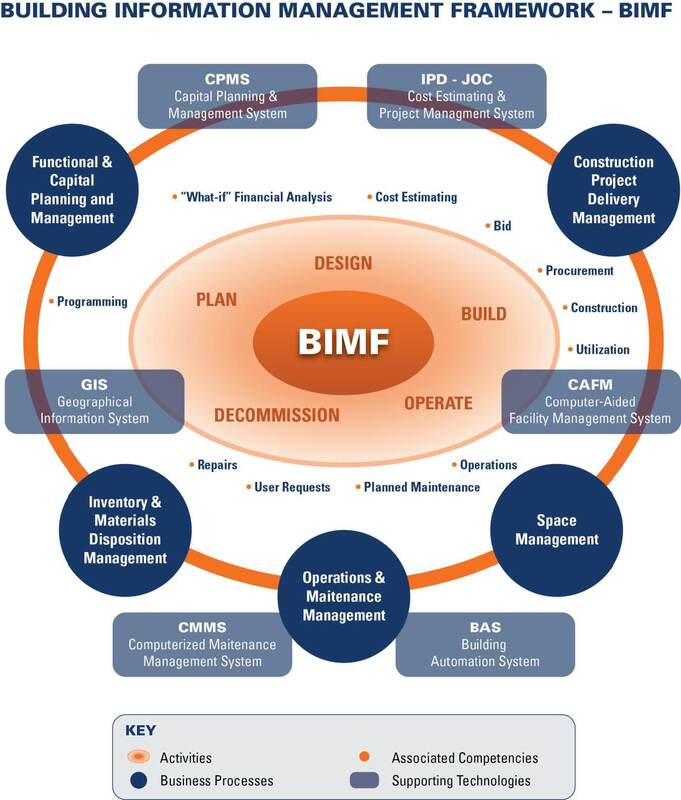 BIM is a digital integration of previously disparate processes and technologies to allow organization to better link the built environment to support physical and functional requirements, while at the same time optimizing return on investment and associated impacts upon the environment. 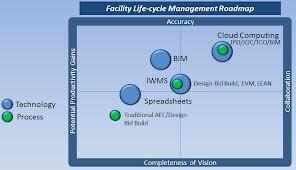 Considerations include design, procurement, construction delivery methods, construction management, condition assessment, repair, renovation, adaptation, utilization, capital planning and budgeting, life/safety, security, and sustainability. 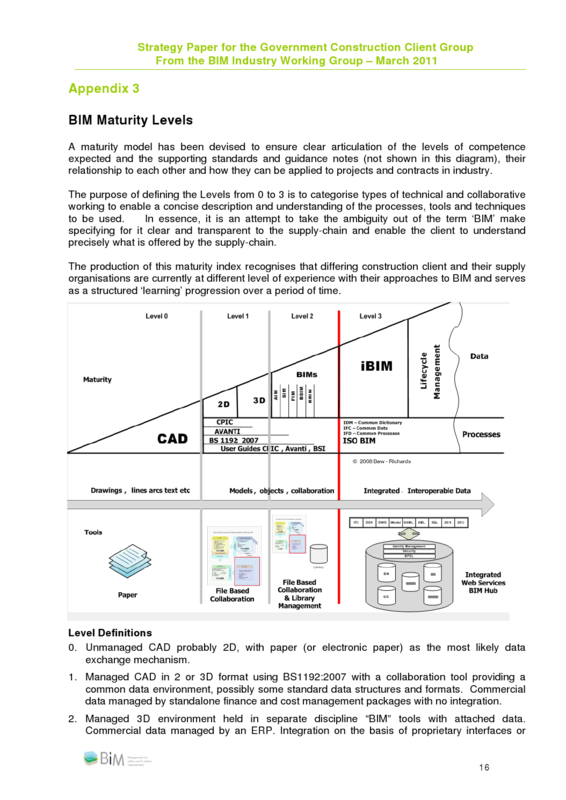 BIM is divergent from the traditional antagonistic and inefficient architectural, design, engineering, construction, and operations management process which have been responsibility for the lack of overall productivity in these sectors. 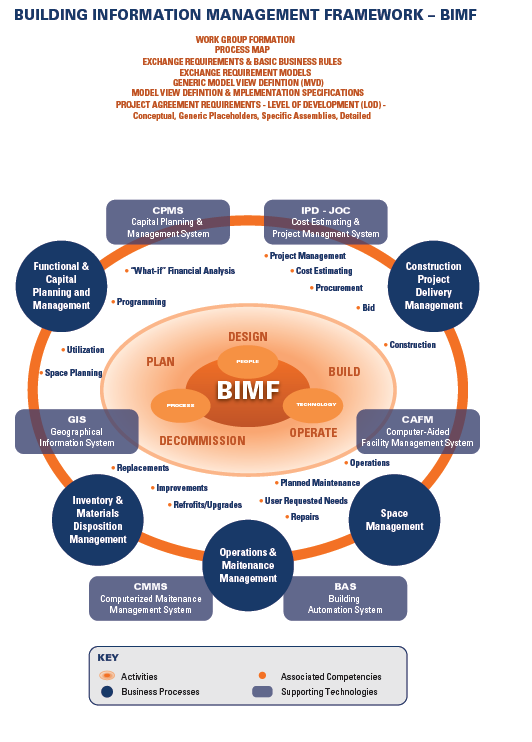 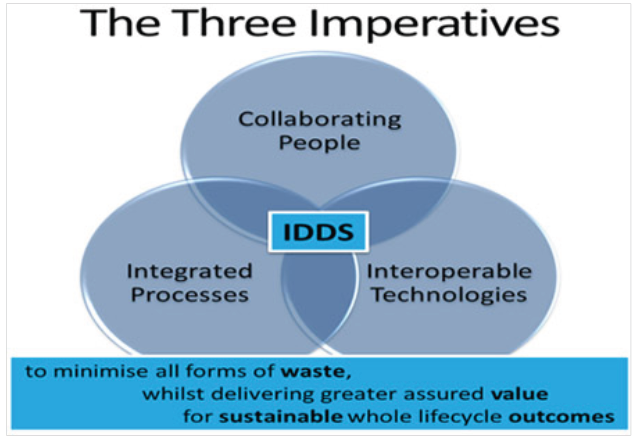 BIM is a collaborative process involving all stakeholders/shareholders and is supported by an integral digital framework. 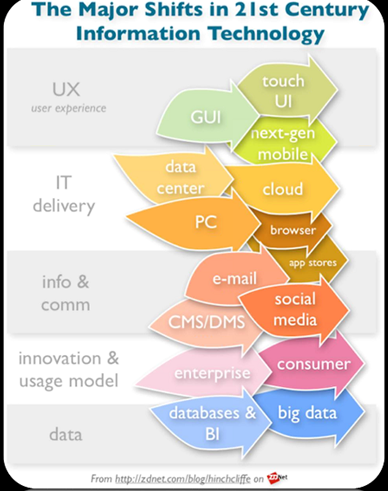 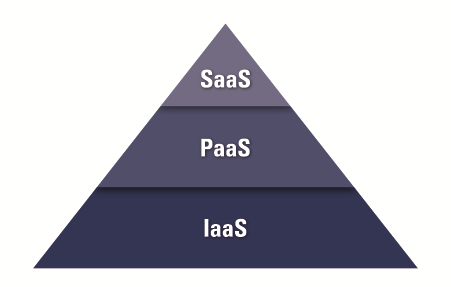 The latter enables rapid, scalable deployment and consistent/transparent deployment and management. 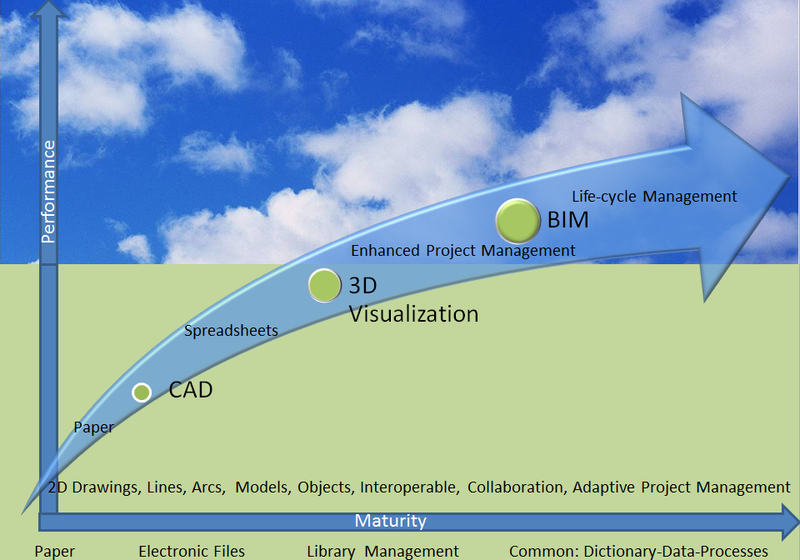 BIM requires a structured approach relative to terms, definitions, data architectures across multi-disciplinary knowledge domains to allow for efficient, transparent data sharing and re-use. 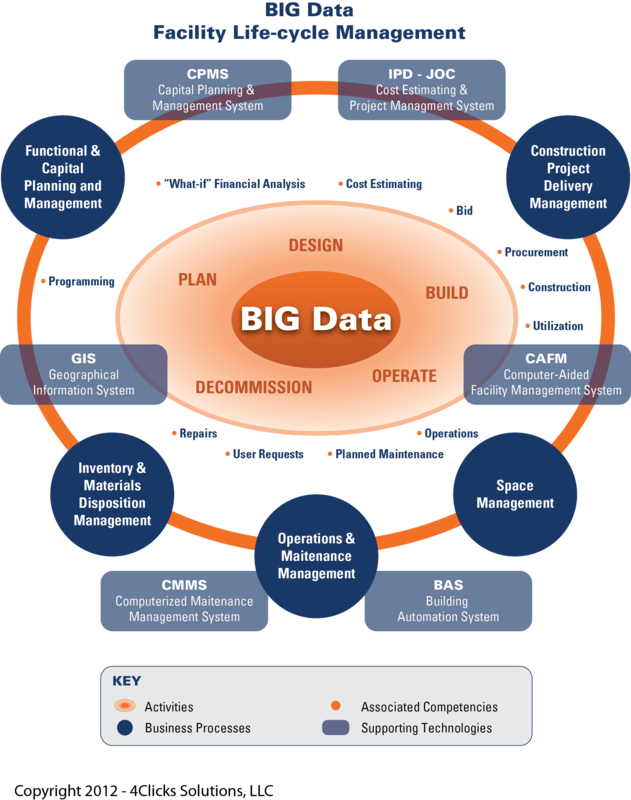 Some of the associated, currently silo-based competencies and activities are shown in the below graphic.